December and January were good reading months for my book club. We read The Storied Life of A.J. Fikry by Gabrielle Zevin and Norwegian by Night by Derek B. Miller. Both books, while different styles, are very good. The Storied Life of A.J. 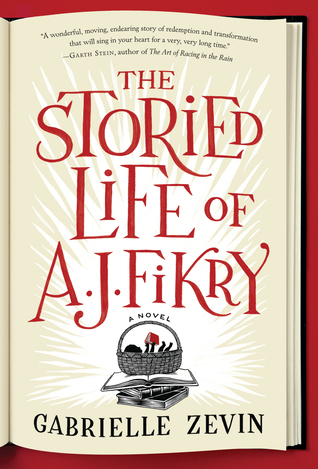 Fikry (2014) by Gabrielle Zevin: This is a quirky story about A.J., a young man after his wife's death. The couple built their life around owning an interesting bookstore on Alice Island, a fictional area near Boston. A.J. drinks a lot after he closes the book store at night and one night while passed out a prized collection of poems by Edgar Allen Poe is stolen. Soon after a baby Maya appears in his bookstore with a note attached and the mother cannot be located. Until a proper family or a relative can be found A.J. agrees to foster the child only because he feels an obligation to the mother who trusted him, the owner of a bookstore because she felt that a bookstore was a good place for a baby to grow up. The rest of the story unfolds around Maya, the bookstore, an interesting police chief, a book representative from the mainland and A.J. of course. This is an delightful tale that loves literature. Each chapter opens with a short story suggestion such as Lamb to the slaughter by Roald Dahl, The diamond a big as the Ritz by F. Scott, and What feels like the World by Richard Bausch. Everyone at book club decided it would be great fun to reach out and read the short stories suggested by Fikry. Witty and unique I would read this one again and I would give it for a gift. 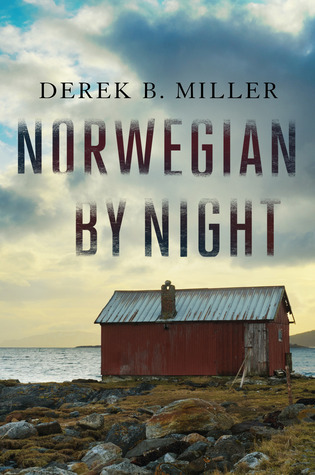 Norwegian by Night by Derek B. Miller is a bit of a mystery adventure set in Norway. Sheldon Horowitz, an aging vet, moves across the ocean to live with his granddaughter and her husband after his wife dies. His granddaughter Rhea feels that her beloved grandfather is losing his mind and will be better off away from the memories of NYC. One day home alone Sheldon hears arguing from an unknown man in the upstairs apartment and in another moment he opens the door to trouble. Fleeing to safety wherever that may be in a country he hardly knows with the young son of the upstairs neighbor Sheldon takes off on a wild adventure with his silent (and terrified) charge. Sheldon is a funny character and keeps us thinking with his wit about racism, family, vengeance, war, and human nature. If you need a good book to read to get you through another few weeks of winter-these are two excellent choices. Dr. King; We need to do more, we need to be more.